- High Quality and Brand New! 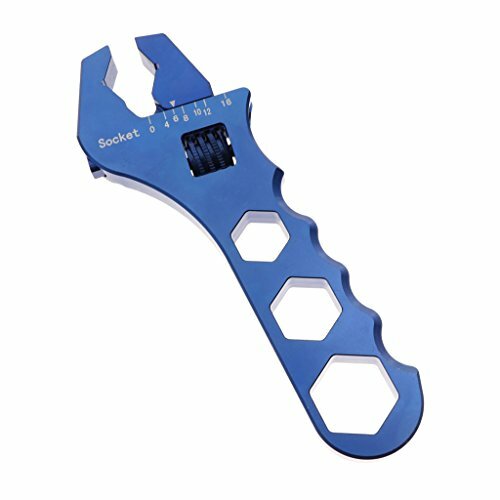 - AN3-AN16 Adjustable Aluminum Wrench Fitting Tools Spanner. - Made of Aluminum alloy. - Easy operations: You can operate very convenient with the wrench. AN-3 to AN-16 Specifications: AN-3/-4/-6/-8/-10/-12/-16 for Universal. AN3-AN16 Adjustable Aluminum Wrench Fitting Tools Spanner. Easy operations: You can operate very convenient with the wrench.